At Adams Autoworx in Castro Valley we provide superior service to all Hyundai owners - whether you drive the Azera, Santa Fe, Sonata, or Tucson. Adams Autoworx is the premier Castro Valley Hyundai Service and Repair shop. We offer not only a full range of maintenance services but also a full gamut of repairs – whatever ails your Hyundai, we can diagnose it and fix it, usually the same day. Our ASE nationally certified technicians can provide your Hyundai with factory recommended services, oil service, advanced diagnostics and repairs. We provide our technicians with advanced automotive repair training, as well as state-of-the –art tools to do their job right – the first time. Being a full service auto repair shop, Adams Autoworx in Castro Valley can provide your Hyundai with a broad range of repairs services: oil service, AC recharge, advanced diagnostics, timing belt replacement, brake repair, air conditioning repair, serpentine belt replacement, fuel pump repair, brake pad/rotor replacement, exhaust and emissions problems, shocks and struts, clutch repair, electrical system repair, check engine light diagnostics and repair, oil leak repair, water pump replacement, coolant leak repair, radiator replacement, evap leak, “check engine light” diagnostics and repairs - to name only a few of the services and repairs we provide. While Hyundai maintains its tradition of providing value for your transportation dollar, some of the model have known issues - 2013 Hyundai Elantra model can experience brakes that make grinding noise, 2007 Hyundai Santa Fe model experienced fuel gage problems, and 2011 Hyundai Sonata experienced engine issues. We recommend following Hyundai manufacturer recommended maintenance schedule – it not only keeps your vehicle in top shape, but also gives us opportunity to spot impending problems – before they lead to major repairs or breakdowns. We service following Hyundai models: Azera, Accent, Elantra, Entourage, Equus, Genesis, Sonata, Veloster, Tiburon, Tucson, Santa Fe, XG350. 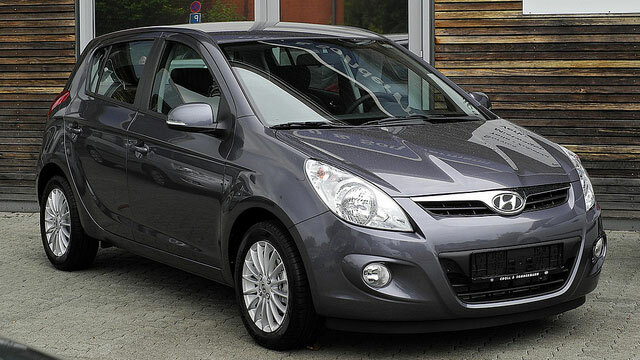 So if your Hyundai needs a bit of tender, loving care – bring it to us – we will take good care of your vehicle. Call to schedule an appointment.